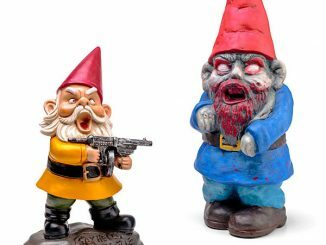 The typical garden gnome is known to be pudgy and jolly-looking, but Skel-E-Gnome Garden Statues are a rare group of gnomes that are as bony as can be. 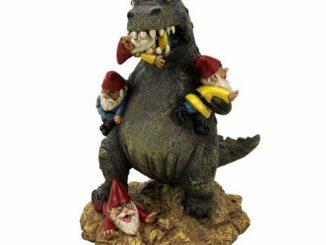 You can never have too many lawn ornaments, right? 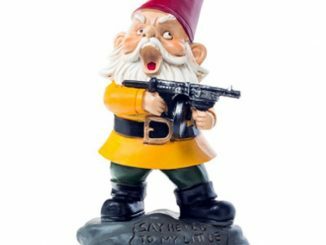 And when you have gnomes in your garden, they bring all sorts of luck and sprinkle magic dust over your flowers to make them flourish and bloom. 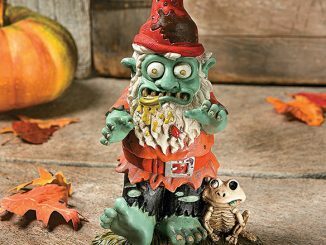 These skel-e-gnomes might appear frightening to sneaky bugs and critters that try to destroy your prized plants. 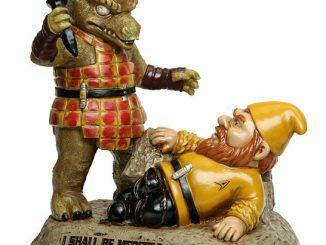 But humans ought not misjudge these gnomes by their unfortunate looks, because they mean no harm to plants or animals. 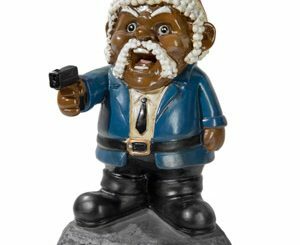 They’re all a bunch of lovers. 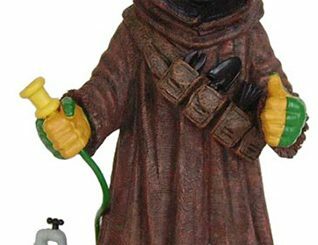 Just when you think you’ve seen them all, these overworked garden friends will make your neighbors and passersby look twice. 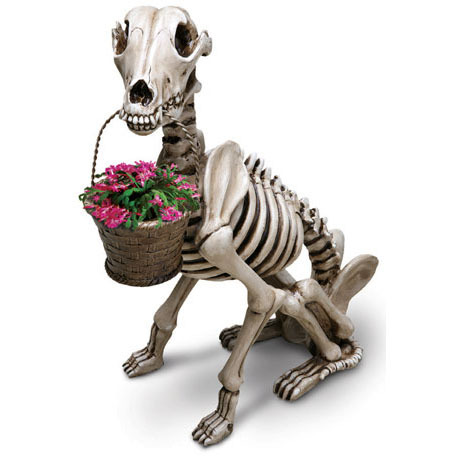 They’ve been garden-guarding so long they’re nothing but bones. 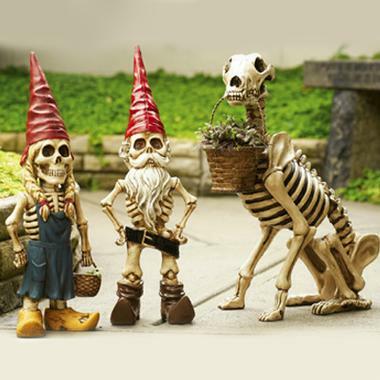 Skel-E-Gnome Garden Statues can be found at SkyMall. 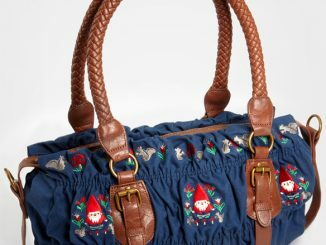 The gnome man and gnomette are $39.95 each and the dog is $54.95 due to its larger size. 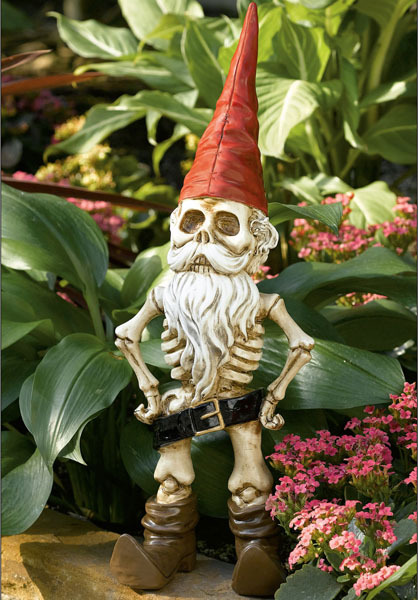 You can also purchase the Skel-E-Gnome Man at Amazon.com. 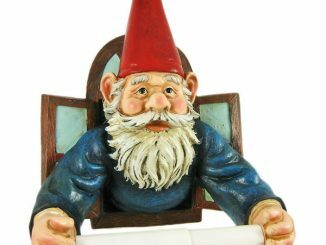 Once you have collected a substantial set of garden gnomes, you might need a little help figuring out what kind of plants they’d like to guard best. 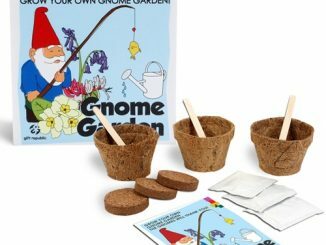 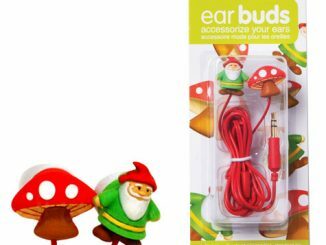 You can start of using the Grow Your Own Gnome Garden Kit, or if you want an even easier method you can use Seed Bombs Throw and Grow Plants. 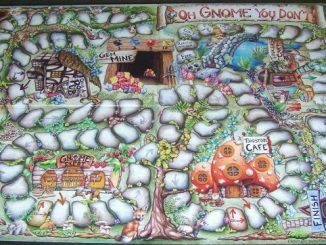 If you’re really into gnomes, then you really must indulge in a game of Oh Gnome You Don’t!